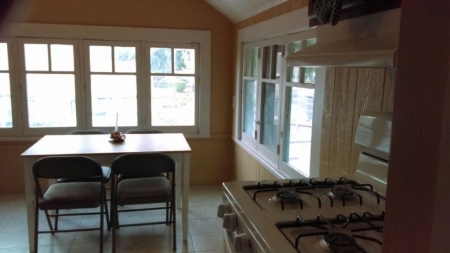 This newly remodeled 2 bedroom, 1 bath apartment on the 2nd floor of a Victorian-style house has 4 beds (1 queen, 1 bunk, 1 futon) and comfortably sleeps 6 people. A bathroom, fully furnished kitchen and living room with a TV provide you with the ideal home away from home! 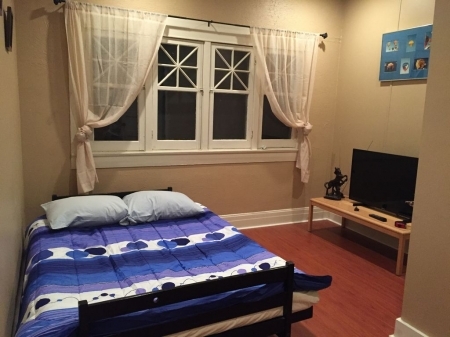 The apartment is centrally located in SoCal off of 10 Freeway and is 5-10 minutes away from the Claremont Colleges, Cal Poly Pomona, Pomona Fairplex, grocery stores, restaurants, mountains, theme parks, nightlife & more. The master bedroom contains a queen-sized bed, the adjacent bedroom has a bunk bed and desk, and the living room has a futon and TV. 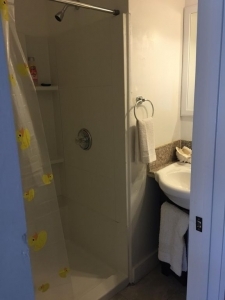 The toilet is in a private room across the hall from the bathroom with a shower and sink. 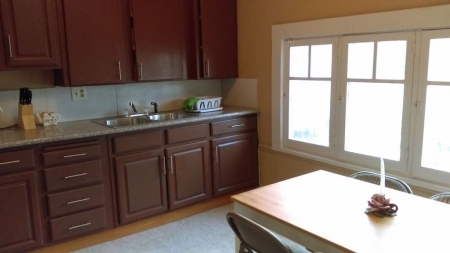 A fully-equipped kitchen with amenities such as a refrigerator, stove, microwave, and dining table are provided for your convenience. WiFi is provided and free parking is available right outside of the home. The TV in the living room has 90+ channels for your entertainment. 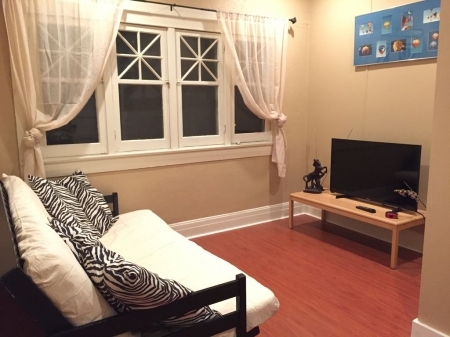 Centrally located in Southern California, the space has easy access to the freeway for points of interest such as Universal Studios, Disneyland, museums, beaches and ski resorts. The space is 15 minutes away from Ontario International Airport and 5-10 minutes away from the Claremont Colleges, Cal Poly Pomona, Western University of Health Sciences, Fairplex Exhibition Complex, the Pomona Valley Hospital and much more. It is located less than a 5-minute drive away from Downtown Pomona which is filled with restaurants, unique shops, museums, and exciting nightlife. Raging Waters is a 10-minute drive away. 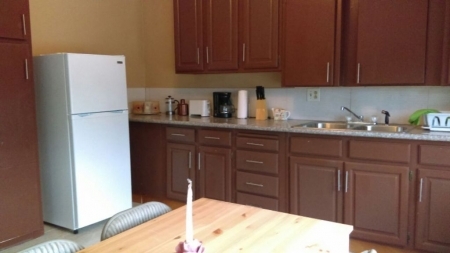 Enjoy convenient walking distance to the grocery store, Starbucks and dining. Guests may access the entire apartment unit - two bedrooms, living room, kitchen, and bathroom. The front patio and lawn areas around the house are also available for use. I love meeting people, but also understand the importance of respecting guests' privacy. 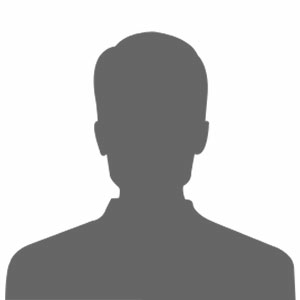 I am usually in the Pomona area and can be available to help in any way that I can. I'm more than happy to answer questions and make recommendations on things to do. I will try my best to make your stay relaxing, comfortable, and enjoyable. Please note that this unit requires walking up a short flight of stairs. The public bus stop is two blocks away. The 10 Freeway is easily accessible from the home. There is free parking along the street in front and near the home, as well as on the driveway to the side of the home.